2 "Masked HERO" monsters. 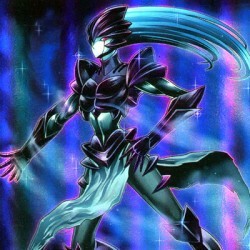 (This card is always treated as an "Elemental HERO" card.). Must be Fusion Summoned and cannot be Special Summoned by other ways. While face-up on the field, this card is als.. If this is the only card in your hand, you can Special Summon it (from your hand). When this card is Summoned: You can draw 2 cards. You must control no other cards and have no cards in your hand to a..
1 "Elemental HERO" monster + 1 WIND monster. Must be Fusion Summoned and cannot be Special Summoned by other ways. If this card is Fusion Summoned: Halve the ATK and DEF of all face-up monsters your o..
Target 1 "HERO" Fusion Monster you control; return it to the Extra Deck, then Special Summon from your Extra Deck, 1 "Masked HERO" monster with the same Level as that monster's original Level, but wit..
Target 1 "Elemental HERO" Normal Monster in your Graveyard; add that target to your hand, then if your opponent controls any monsters with ATK less than or equal to that target's ATK, destroy 1 of the..